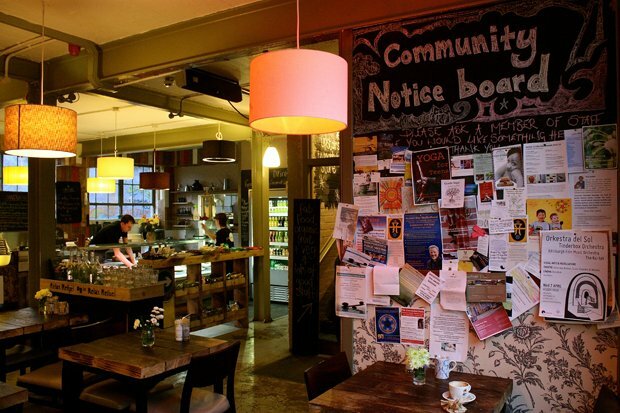 With news of pioneering food store Earthy closing down, Food & Drink Editor Donald Reid recognises its contribution to the local food scene and peers into a missing gap in food retail in urban Scotland. It was around 10 years ago when the feel-good factor around Scottish food and drink really started to grip. The evidence was in farmers markets, farm shops and a growing number of small-scale producers emerging. Here and there you could discover an artisan baker or an organic box scheme; there was an awareness that, in the face of its clichéd unhealthiness, Scotland was actually capable of producing distinctive food of quality and integrity. If you knew where to find it, that was. The founders of Earthy reckoned they knew where to find it. And they reckoned that if they could gather it together and showcase it, then the market – particularly in a relatively well-off, discerning city such as Edinburgh – would respond. When it opened in May 2008, Earthy felt like a deliverance. 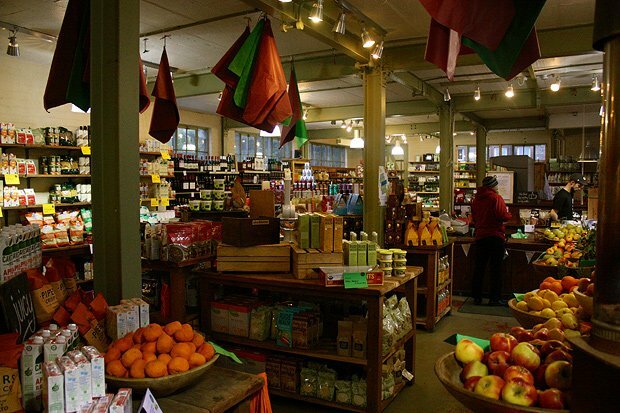 An alternative to supermarkets and their crushing culture of convenience and cheapness. A celebratory food hub you could trust for storeroom basics, dairy, treats, proper bread, real food. Local fruit and veg, not in paltry piles but displayed with the dolce vita of an Italian village market. 'If it doesn't taste great, it's not getting in the door,' founder Dirk Douglas confirmed back in the early days. Rare was it in Scotland that good food – good local food – could puff its chest out, and smile too. Over the years it expanded: a shabby-chic café in the original converted garage in Newington that served sophisticated, contemporary, eat-me food. Another store in Portobello, a shop and café-restaurant on Canonmills bridge. It picked up awards, loyal followers, celebrity fans and made things work, surfing the waves of interest in local food but also paddling hard to reach them. Of course, like most businesses they grappled with failed ideals, fractured relationships, frustrations and challenges. It faced, as any food retailer that's not a supermarket faces, barbs about its pricing. When the landlord of their Canonmills venue announced plans to demolish the building to make way for a new housing development, locals protested determinedly but ultimately unsuccessfully. Earthy Canonmills shut in September 2017. The rest of the business moved into administration in January 2018. While acknowledging the ragged ends any closure entails, it's worth marking the positives that Earthy brought to food retail in Edinburgh. Significantly, over its lifetime it gave employment to and inspired many people about what good food can mean, helping to ferment a youthful, energised, empowered sense of how politics, ethics and culture are inextricably woven into everyday food. Yet while Food Assemblies, food festivals and new food ventures are more common, they exist on the fringes of our consciousness when it comes to everyday eating and drinking. Between huge multinational supermarkets and tiny artisans, what's left in the squeezed middle? Can medium scale, off-high street alternatives be viable? In the last ten years Scotland's journey has taken it to the brink of proclaiming itself a 'Good Food Nation'. Quite how that status is determined is up for debate, but the disappearance of ventures such as Earthy does make the prospect of better food just around the corner seem frustratingly elusive. I have , never , ever , ever read such soggy middle class clap trap in all my life as I have in this article. I used to go here with the wife and kid as many google reviews said well over priced and the service was often nasty in that special Edinburgh way. If the Nat - si's want us to eat proper and healthy they really need to make well sourced and nutritious food an affordable and common commodity as a pose to support niche exclusive business's who catered for the worlds global elite. Granted I used to enjoy coming here and waiting for hours on a weekend to get served some basic cafe food while I read the posh papers and was riveted about Johnson or the Sturge making some obscure and minute policy U turn. While my carrot got in a stick courtesy of some the posh hippy totty they had there. One of those was a true statement:) Well it will not be missed plenty more places like this in Edinburgh to take its place.